Over the last year, everyone and their mother foretold the death of the great American mall, a former institution of our consumerist society. Foot traffic peaked in August of 2018, but still resulted in poor Q3 retail sales – contributing to fears of a widespread recession. Reports of store closures across the nation made analysts recoil in horror, even though the market was enjoying a historic rally (which continues to this day). And according to recent data out of Thasos, an analytics firm in New York City, it looks as though the economic undertaker is preparing to drive home the final nail in the coffin of mall shopping – a once proud tradition. According to Thasos, which relies on mobile phone data to track consumer behavioral patterns, shopping center activity is on the decline after rebounding nicely in 2018. Even though department store-anchored malls saw a popularity increase last year, it wasn’t enough to offset the rising costs for stores to maintain retail space in them. In fact, in order to coax shoppers back to America’s shopping centers, many retailers resorted to dropping prices significantly – to the point at which they couldn’t generate sustainable profits. John Collins, Thasos-cofounder and chief product officer, warned that even though their plan to increase foot traffic worked, it didn’t solve the larger-scale problem. “If you’re selling merchandise at a loss, you can only do that for so long,” he said. 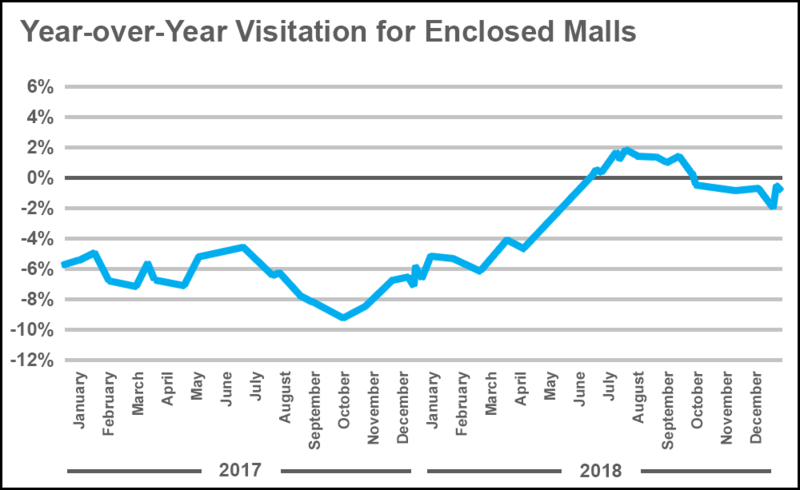 And now, realizing just how costly the recent PR push has been, retailers are starting to scale back their discounts, causing mall activity to slowly decay over time. Landlords (mall owners) have tried to improve the shopping experience as well, but it appears as though their efforts have largely been in vain. The truly damning statistic, though, is the 5,994 store closures that are set for 2019 in the United States. It’s only April, but retailers have already surpassed the closure numbers from 2018. And while there will also be 2,641 new openings according to industry estimates, the net loss of 3,353 stores will be a hard pill for retail investors to swallow. Leading the way for closures is Payless ShoeSource after filing for bankruptcy, followed by mall staples like Gymboree, Charlotte Russe, Victoria’s Secret, and Gap – all clothing stores that have been hit especially hard. And thought it might seem hard to celebrate a reduction in brick-and-mortar retail sales – especially in malls – it could also just be a sign of the times. Internet retailers like Amazon have completely broken the industry due to the convenience of internet shopping, and in the end, deliver more value to consumers than their competitors that rely on physical locations. Yes, Amazon (and others) are entering the physical retail space as well, but in general, the world-wide-web has enabled merchants to deliver products to customers in a highly efficient way. Over time, that might translate into increased economic activity across the country, just not in shopping centers. Would that be the worst thing in the world? In fact, I’d argue that it’s proof that the free market is working as intended. 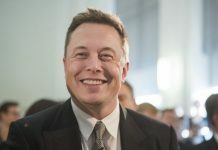 Companies that make life easier (and more affordable) for consumers end up getting rewarded for it, and those that can’t shift to meet the market’s changing demands get ushered out of it. 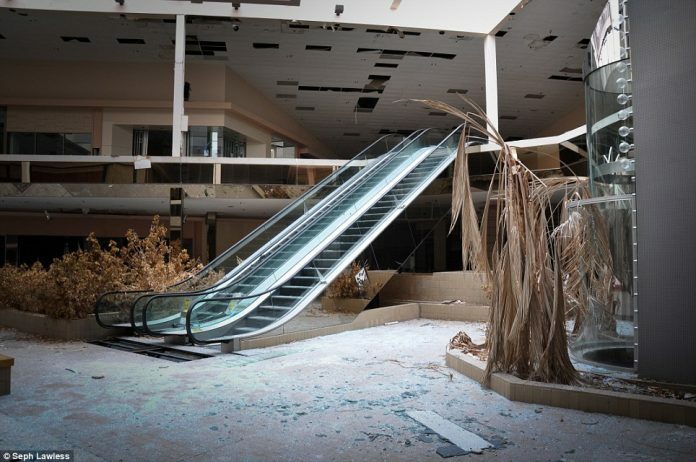 Holding dead-weight for the sake of it won’t propel the economy forward, and in killing-off America’s malls, investors could end up enjoying a more prosperous landscape for decades to come. Previous articleDid JP Morgan Just Restart the Bull Run?